Are you thinking about a career in Accountancy? We offer programmes designed for Graduates and Apprentices taking their first steps into the world of Accountancy. We offer training and development programmes which have been carefully created to assist your career aspirations. Our graduate programmes are designed to allow you to choose a business area to specialise within. Our Apprenticeship programme helps you to achieve your full potential. Our business streams form the services which we provide to our clients. We offer trainee opportunities for Graduates and Apprentices in each of these areas. We utilise the expertise and experience of our people to deliver high quality audit and assurance services to our clients. Our advisory teams delivers innovative solutions to our clients around the world at every stage of their life cycle. No matter the challenge, no matter the need. We work with our clients, in a variety of sectors and locations, to support them as they navigate a complicated and ever-changing tax landscape. Our Business Services & Outsourcing team supply accounting, advisory and compliance services to help businesses grow around the world. Sign up to our mailing list and be the first to hear about our upcoming events, news and latest trainee opportunities. 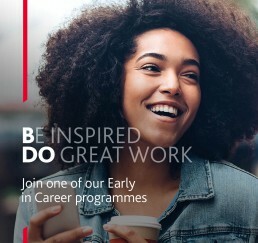 We've prepared some hints and tips to help you succeed in your application to join us, here at BDO. The best way for you to get to know us, is for you to come and meet us. We know you might have some questions, so we have prepared a list of answers for commonly asked questions. BDO LLP is one of the UK’s largest accountancy and business advisory firms providing services to ambitious businesses within the UK and worldwide. Trainees are integral to our firm and our strategy for growth.